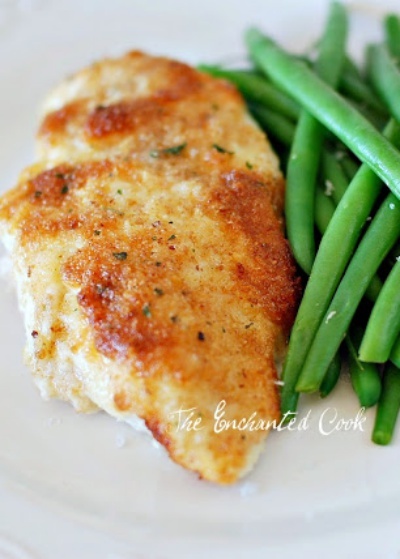 Parmesan Crusted Chicken. Think juicy, moist, tender and incredibly tasty. Don't let the limited number of ingredients fool you. Their mayo gives it all the richness in flavor you could desire.